My best holiday in my life until now. You are the best- good organisation, very good barbaque. We saw alot of different things that are typical of New Zealand in a short time. Thankyou George. It was one of the most exciting trips I've ever made. I always felt in good company and safe. I can only highly recommend you to others who want the convenience of a private tour guide who is not over-rated. Both George and Mary are very hearty and friendly, and they try to understand, get to know and make friends with their 'clients'. I will definitely miss them and looking forward to meeting them again, one day. My overall plan was vague, but via several emails we were able to come up with a wonderful plan. George's local knowledge was invaluable! Time spent with George and Mary was always informative and entertaining, there service excellent. iTrek New Zealand was exactly what I was looking for. "My name is Margret Binder and I had the great opportunity to do a 4 day walk with George Scott. As a 23 year old Austrian girl I had no idea and no experience to plan a track so I looked for help, and found George. For start of we had long conversations to find out what kind of track would be suitable for me, because I am not used to walk on steep and raff tracks. So George found the amazing and beautiful Queen Charlotte Track in the north of the South Island. It is a walk on the coast line where you can find a lot of native plants and wildlife. The places we have seen were awesome and we could see across a beautiful valley, and on the other side we had the sea. 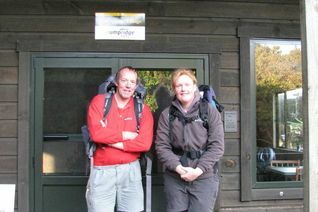 George didn´t just find a great track, he also planed our way to Picton, where we started, and of cause the way home!!! He found beautiful places where we stayed over night, and we had fantastic meals, every day. To be honest I can say, that it was a great and awesome experience to do a track like that with a guide like George. I have enjoyed every single day of our trip". "In February 2011 I had the pleasure to travel to Nepal together with George Scott. George was the one who organized the biggest part of our journey. After some careful enquiries, George decided to travel with the organisation iTrek Nepal which was a very good decision, as the company was very keen to fulfil our wishes, and tried to make our trip as comfortable as possible. George passed a concrete plan on to iTrek and checked every detail on his own. He tried to think about any problems which could occur on our trip, and how it would be possible to avoid them. All of George’s hard preparation ended in a very well organized trip, which gave us the possibility to enjoy the country and its people with their own culture. Nevertheless George was keen to give fair comments and good feedback on how the company can improve its services. All in all George is a very good organizer, how looks at things from every angle only to choose the best way to fulfil the wishes of his clients." 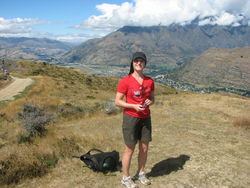 "When I was spending time in New Zealand I decided that I wanted to experience some of its beautiful nature. I went on a 3 day hike with ItreckNewZealand. The owner of the company, George, took me to the Tuatapere hump ridge track in the South Island. Although I did not have much experience with hiking, George managed to put together a trip suitable for me. It was a great trip where I got the chance to experience the stunning scenery of southern New Zealand, walking in native forest, along the beaches and passing historic viaducts. I couldnot imagine a better way to experience this beautiful country, than the one I got when I went with ItreckNewZealand. George knew the area, and had all the inside knowledge necessary to get the best out of the trip. 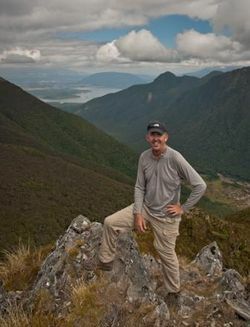 I really appreciated the personal service that Itreck offered and would at any time recommend George as tour guide"
"I recently had the opportunity to hike the Gillispie Pass in the South Island of New Zealand. 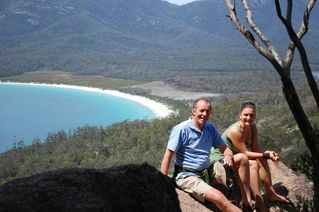 George Scott, owner of iTrek New Zealand, introduced me to this hike. Before going I mentioned to George that I was searching for an off the beaten path hike with a diverse scenery. With his in-depth knowledge of the area George selected the perfect trip which went beyond all expectations. 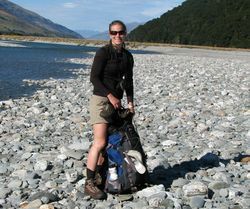 For anyone looking for a memorable adventure and a special get a way into the great outdoors I would highly recommend speaking with iTrek New Zealand. They are true professionals with a personalized service approach, and the kind of personality interaction which will make any trip, anywhere, special…especially New Zealand."